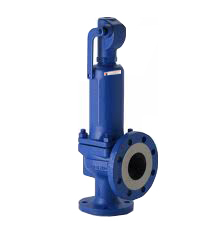 S J ENGINEERS is engaged in the manufacturing of safety valve, which provides safety from over-pressure in steam, gas, air and liquid applications. The valve "lets off steam" when safe pressures are exceeded then required, then shut off again when pressure drops to a preset level. - BODY & BONNET : CARBON STEEL,SS 304, SS 316 & OTHERS. - SPRING : SS 304 , SS 316 & OTHERS. - END CONNECTION : SCREWED , FLANGED ENDS TO ANSI B 16.5 , BS 10 TABLE D,E,F ,H .